Elouise Cobell, the lead plaintiff in the Indian trust fund lawsuit, met with members of the Yakama Nation of Washington on Tuesday. Cobell said about 10,000 Yakamas will be affected by the $3.4 billion settlement to the case. Most landowners will get at least $1,500 while some will receive more money. The deal includes $2 billion for a land consolidation program. But some at the meeting questioned whether it will resolve longstanding problems in trust management. "There's a sickness, and we're still ill from it. We're still going to be suffering from the same things. I may not get one penny out of the settlement, and I still want to see this problem get fixed," said Lia Whitefoot, 56, the Associated Press reported. 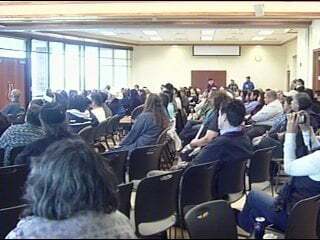 Cobell asked attendees to press Congress to approve the settlement. The parties have agreed to an April 16 deadline.